Terminal Satay Zul, located off Jalan Haji Abdul Aziz in Kuantan, Pahang, is amakan place you have to visit when in town. I missed the opportunity to makan here twice during my squid-jigging forays to Terengganu some years ago. The restaurant was closed when I got there and it was a frustrating moment for me. The chicken satay is tasty. I got lucky the third time while on a road trip to Kuantan recently. 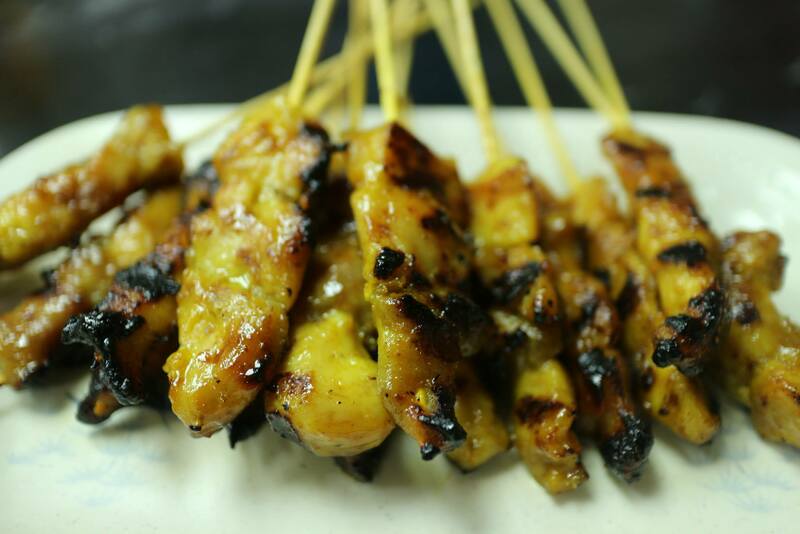 I went to Zul’s satay shop (N 03 48.596, E 103 19.814) and tried the beef and chicken satay. To those who don’t know, the restaurant is located just outside Kuantan and it has been there since 1974. 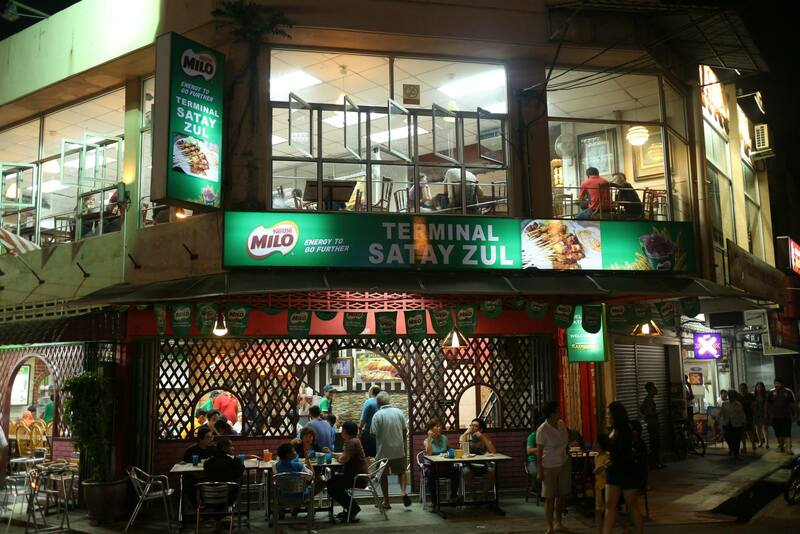 To most residents here, Terminal Satay Zul is a household name and this is one of few makan places in Kuantan that opens till late at night. I was amazed by the volume of satay that was prepared by the workers at this shop. The tender and flavourful beef satay goes well with the peanut gravy. So, what is good at this makan place? We begin with the beef satay, which is pretty tasty at 90sen a stick. 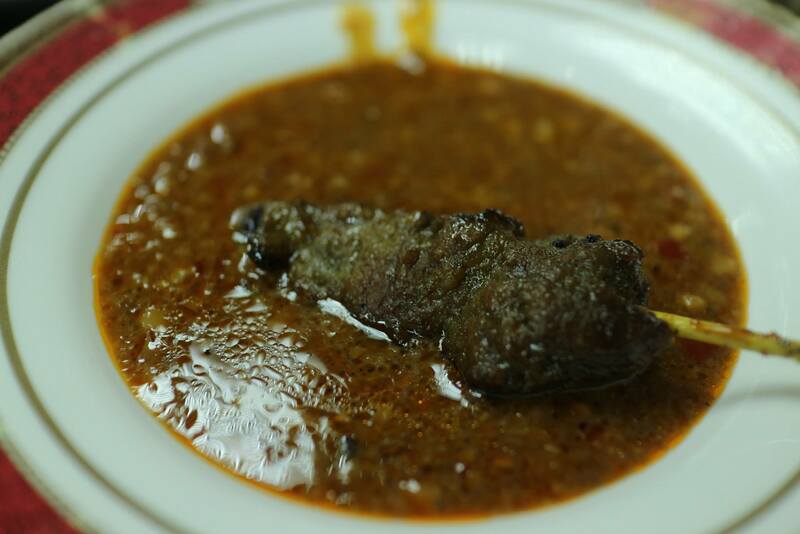 The seasoned beef is tender and flavourful and it goes well with the kuah kacang(peanut sauce). Next on the list was the chicken satay (80sen a stick), which held up quite well compared to most of the satay I have tasted in the Klang Valley. I was told that their sate perut (ox tripe) and kambing (mutton) are also very good, but the two varieties were sold out when I was there. On the Samo-scale, I rate Zul’s beef and chicken satay a 7.5 out of 10. 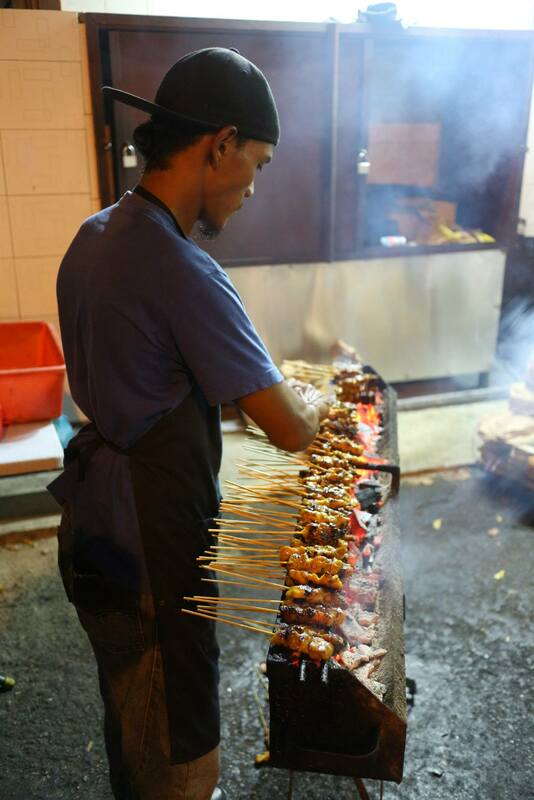 A worker preparing satay on the grill. While the food was great, the slow service is something city dwellers from the Klang Valley have to contend with. But if patience is among your virtues, I don’t see any issues in having a go with the makanexperience at this satay shop. Other than satay, the restaurant also serves nasi lemak, nasi dagang and bakso. So, if you ever swing by to Kuantan, make it a point to try the satay here.